Pack it up, pack it in! EVOC has your travel and riding storage needs covered. 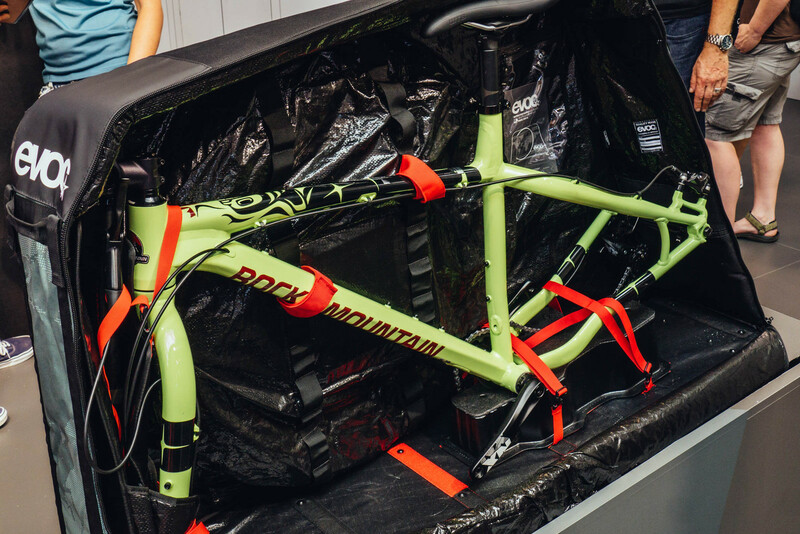 New for 2018, EVOC has introduced a larger version of their travel bag which gives riders with plus, fat, and larger downhill bikes a little bit more space. The bag measures 143 x 42 x 84cm and weighs 9.6kg. It will accommodate up to a 125cm wheelbase and is made from a durable woven PE material. The wheel compartments have a considerable extra amount of room and the interior of the bag has extra space as well for stashing your gear. 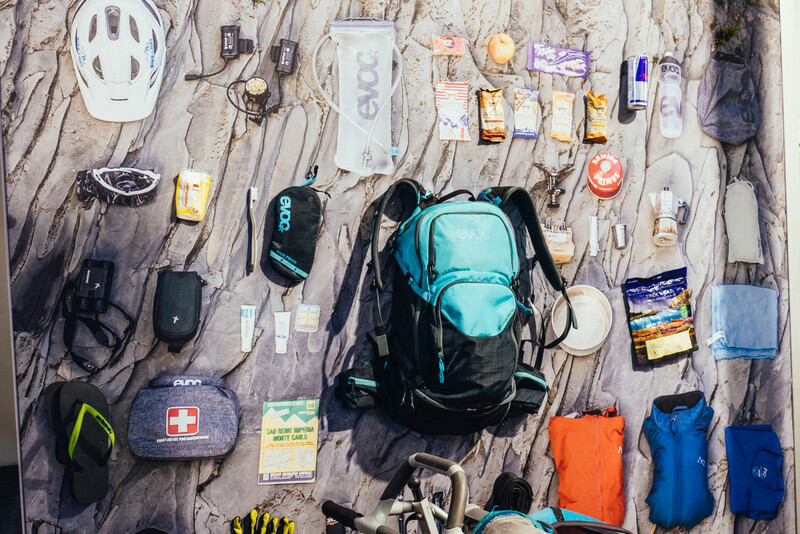 Those seeking big adventures will be interested in these new Explorer Pro packs from EVOC. 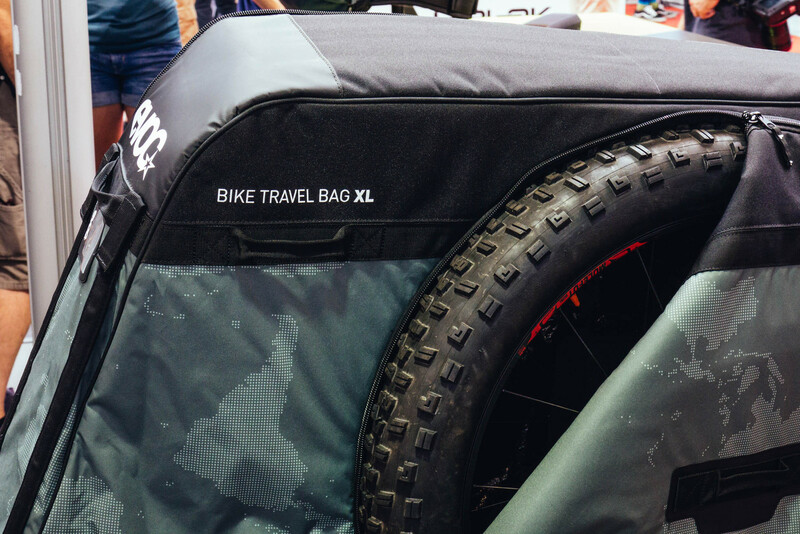 The brand decided to make a much larger pack for riders on tours and epic rides after being approached by one of their athletes who was in need of such a solution. They went through a lot of effort to keep the contents of the pack secure and close to the body, so that while riding exposed terrain you’re in the most control possible despite carrying a lot of weight. The pack hugs the hips for stability and uses soft padding and straps to provide a bit of comfort. The back of the pack is vented heavily as are the straps. It comes in two sizes, 26L and 30L, each in three different colors. Additional features include a roll bottom to separate the large internal storage space which allows you to keep your wet gear separate from your dry gear. The Explorer Pro pack also includes a rain cover and a huge number of internal pockets and storage areas to keep everything organized. 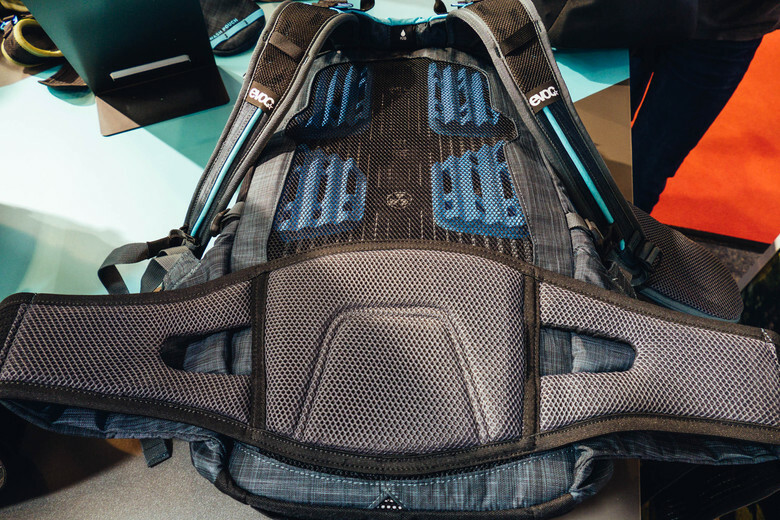 At the top of the shoulder straps you'll find EVOC’s Brace Link system which adjusts the shoulder straps to the width of your shoulders automatically. www.evocsports.com is where you can pack in all the details about these bags and more.